After years of making green smoothies, Maddox asks: “Mom, can you make a smoothie that isn’t green, please?” Oh, okay fine. 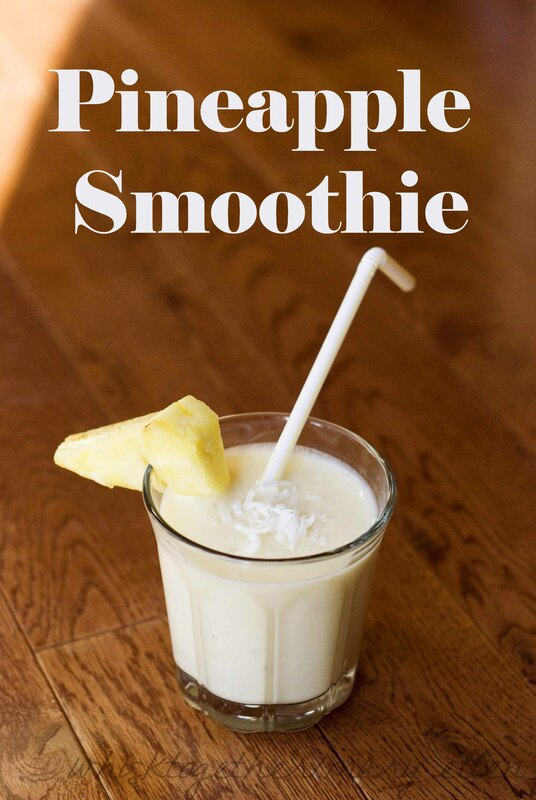 Here is a super-simple smoothie recipe that definitely brought a little of the “tropics” to our below freezing weather. Feel free to add anything you like! The great thing about smoothies is that they are so changeable. And feel free to add that green spinach! Or kale! 1. 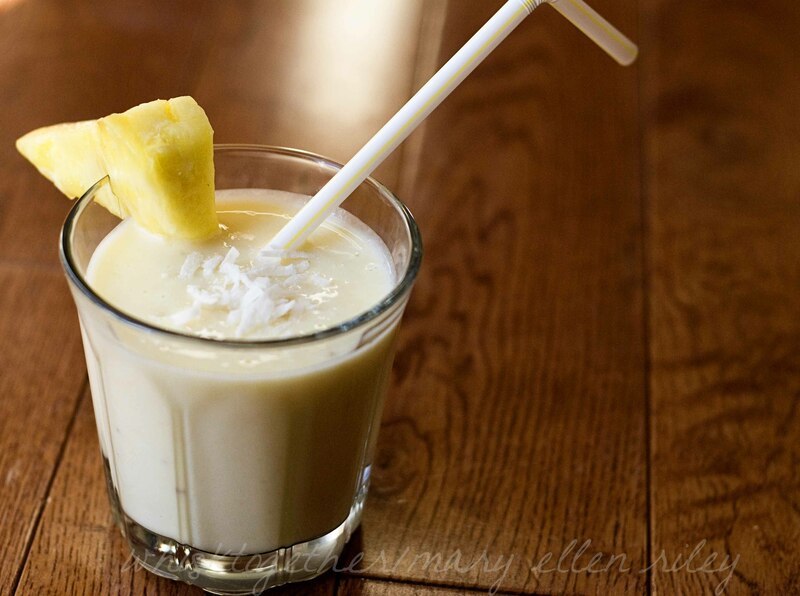 Make sure the ingredients are chopped into chunks like the banana and pineapple. Add the liquids and then the solids on top. Blend until pureed! Feel free to top with more coconut! 2. If using ice cubes (my kids and I do), I find it easier to puree the rest of the ingredients and then add the ice in later. Since I don’t have a vitamix, this allows the ice to sink to the bottom and puree better than when I added them all together. Looks delicious! I love trying out new smoothie recipes. Check out my latest post which is about smoothies!